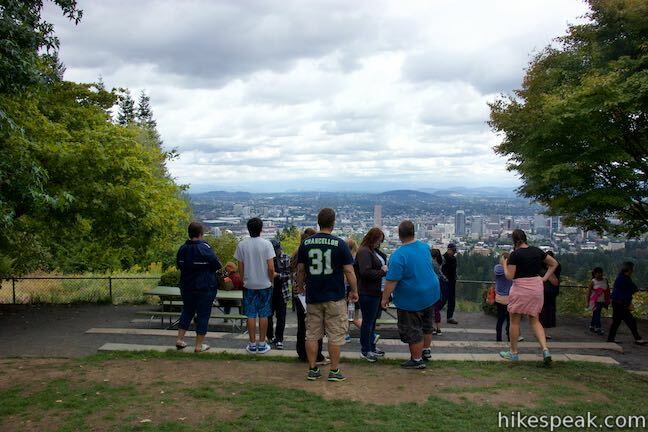 Pittock Mansion is a popular place to visit in Portland, perhaps less for the building itself than for its view over city and surrounding mountains. 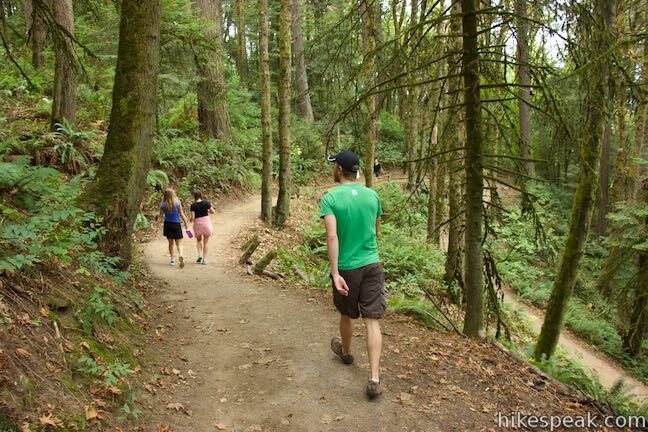 You can drive right up to Pittock Mansion and take a tour or hike up through Forest Park and immerse yourself in a temperate rainforest that’s closer to the city than you might expect. 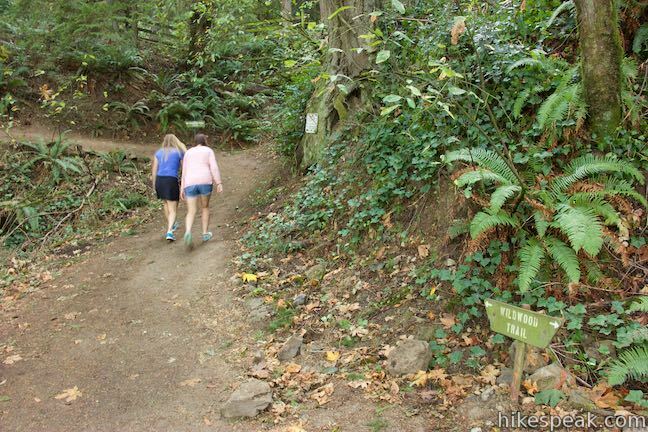 Start from Cornell Road for a partial loop hike on Wildwood Trail and Upper Macleay Trail that is 2.5 miles round trip with 435 feet of elevation change. 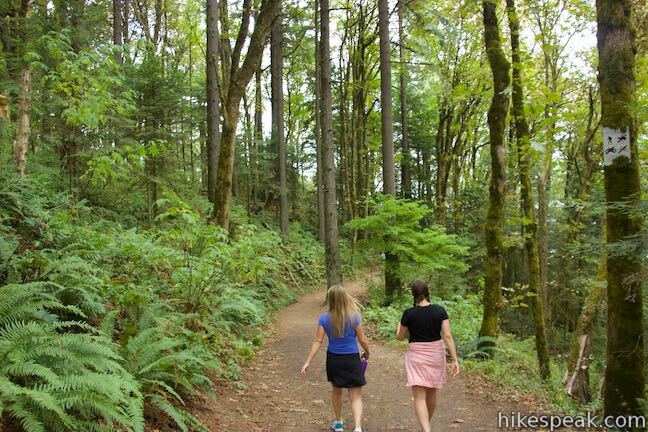 For a longer version of this hike, consider the 5.4-mile trek from Lower Macleay Park to Pittock Mansion. 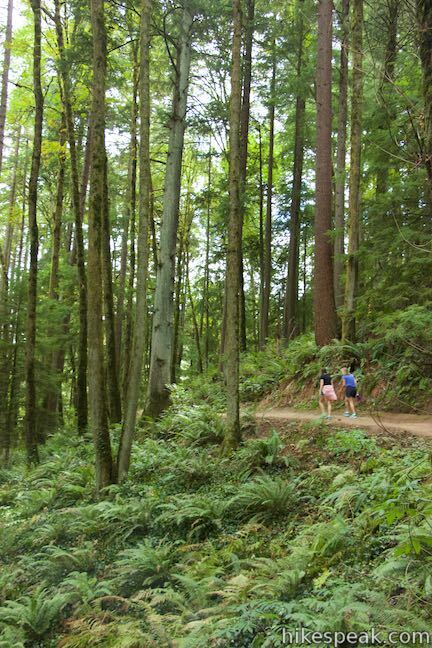 Forest Park preserves over 5,000 acres of hilly woodlands, running roughly north to south on the west side of Portland and the Willamette River. 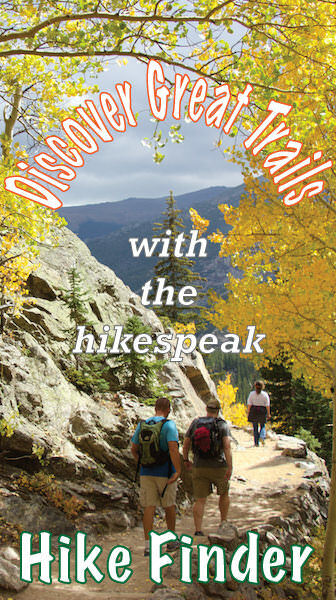 The park has over eighty miles of trails and this hike offers a fine introduction. 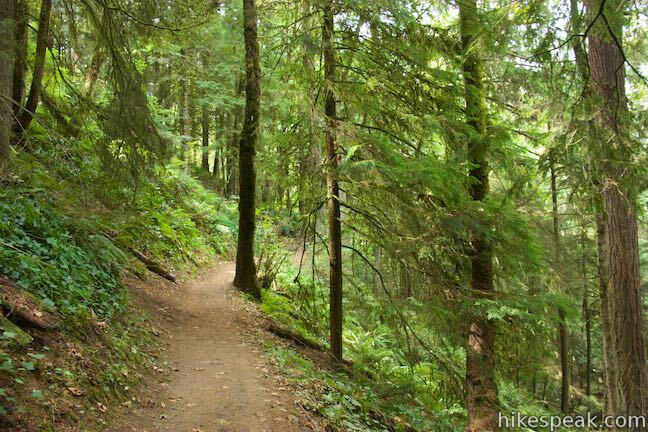 This hike joins Wildwood Trail from Cornell Road, one of the few roads that crosses the park. 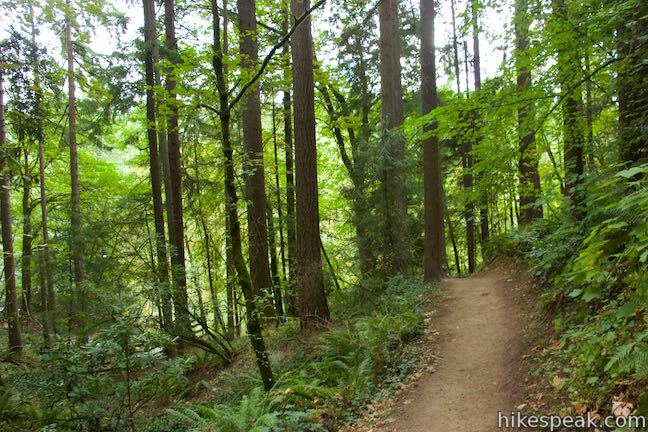 Hike south up Wildwood Trail. After just 200 feet, reach the first junction on the hike (all of which are well marked). Upper Macleay Trail parts to the right and reconnects with Wildwood Trail farther up the hillside. 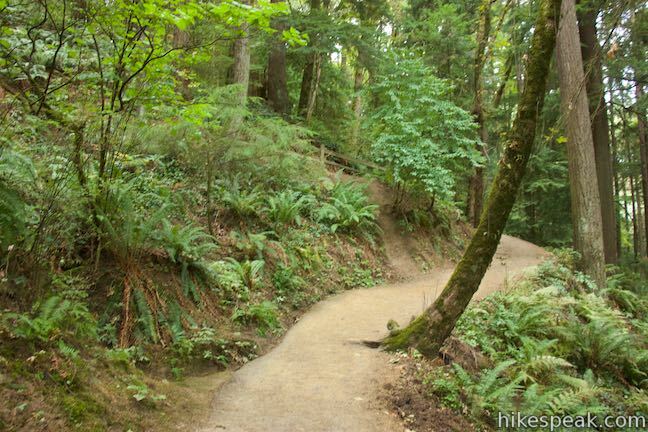 This trail can be used to add a loop to the first half of the hike to Pittock Mansion. 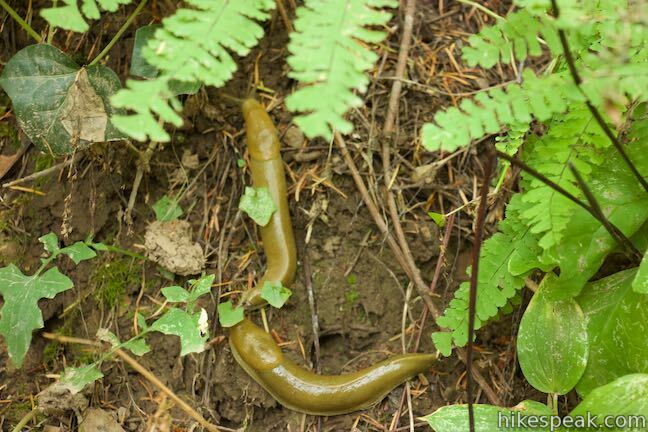 These directions will save that trail for the descent, but you could also use it on the hike up. Turning left at this junction to stay on Wildwood Trail, the single track aims east and gradually goes up the hillside, rising farther and farther above Cornell Road. 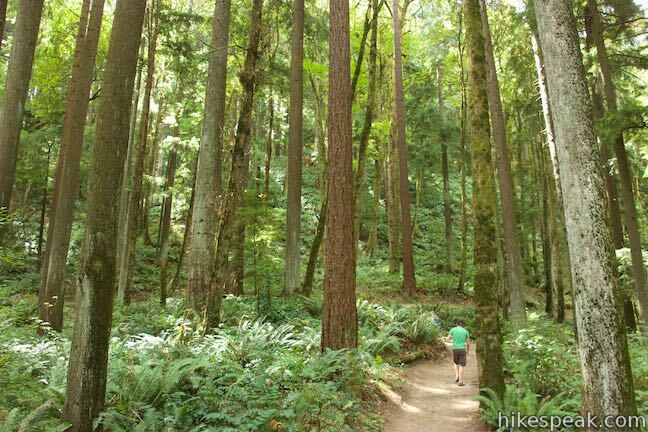 A dense canopy of trees provides lots of shade. Moss and lichens cling to the trunks of maples and firs. 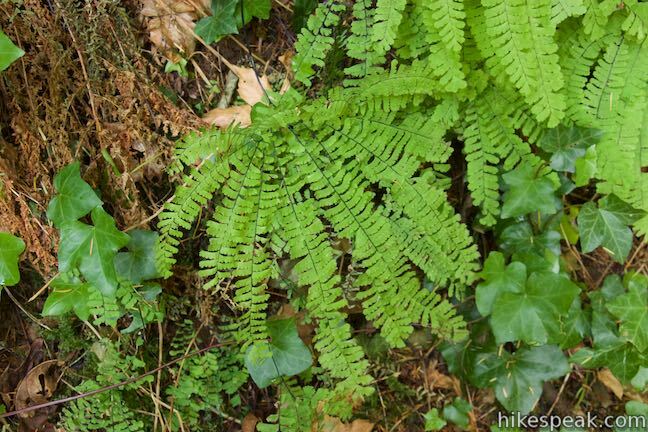 Ferns cover the ground atop a carpet of fallen leaves, branches, and needles. 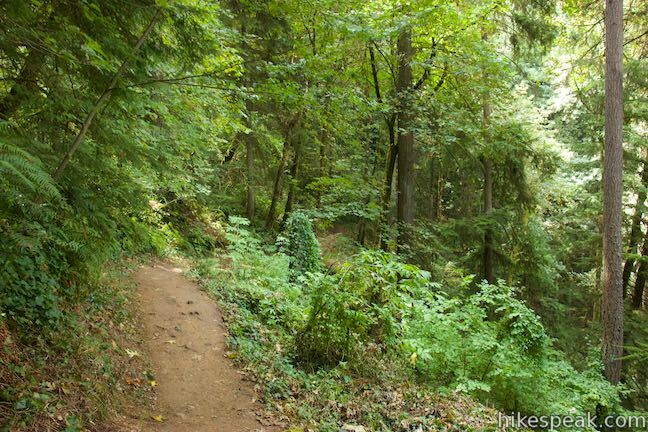 In short, it’s a lovely forest to walk through that’s typical to the Northwest and just minutes from downtown Portland. Weave up the hillside to a junction with Cumberland Trail, which comes 0.4 miles from the start of the loop. Bear right to proceed up Wildwood Trail, passing through two more junctions that come at tenth-of-a-mile intervals. 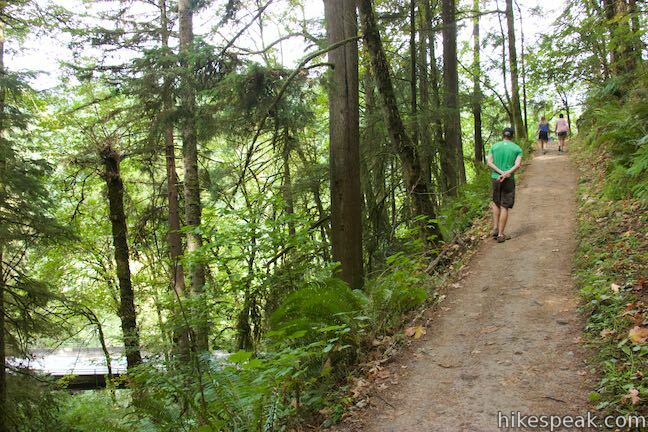 Meet Macleay Trail after Cumberland Trail and bear right to stick with Wildwood Trail. Signs provided by Portland Parks and Recreation make each junction easy to understand. Wildwood Trail tapers a bit, crossing a landing on the hillside to approach the next junction with Upper Macleay Trail. This four-way intersection is at the top of the loop. 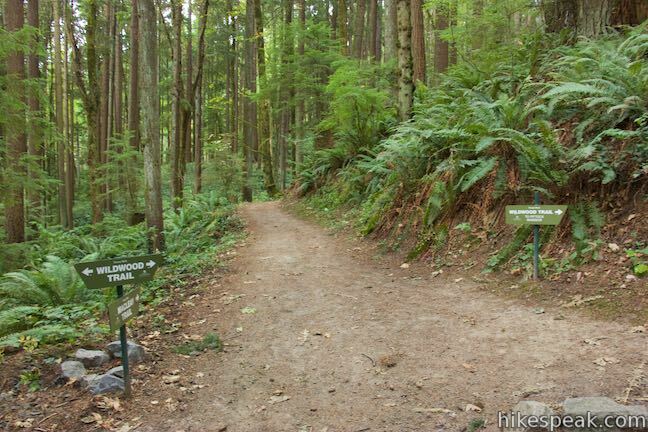 The rest of the loop is the stretch of Upper Macleay Trail to the right, which descends to the first junction on the hike just above Cornell Road. 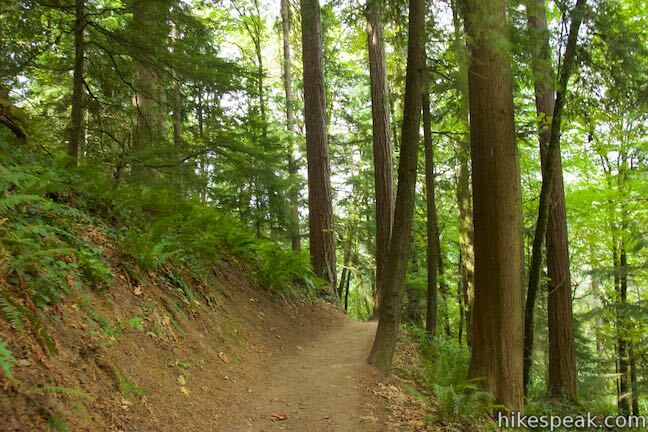 To reach Pittock Mansion, continue up Wildwood Trail, which veers right after crossing Upper Macleay Trail. 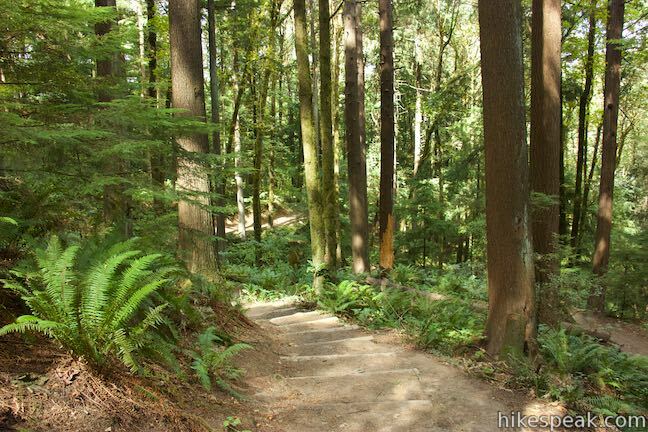 You have gained 185 feet up to this point with 250 feet still to climb over the next 0.45 miles to the top of Wildwood Trail. 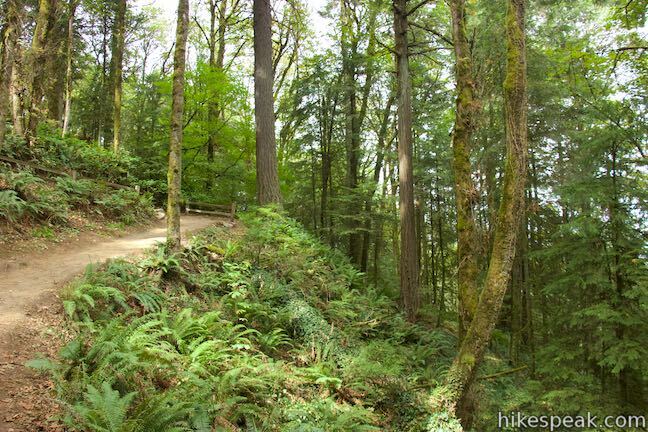 A string of switchbacks bring Wildwood Trail up a steep slope. 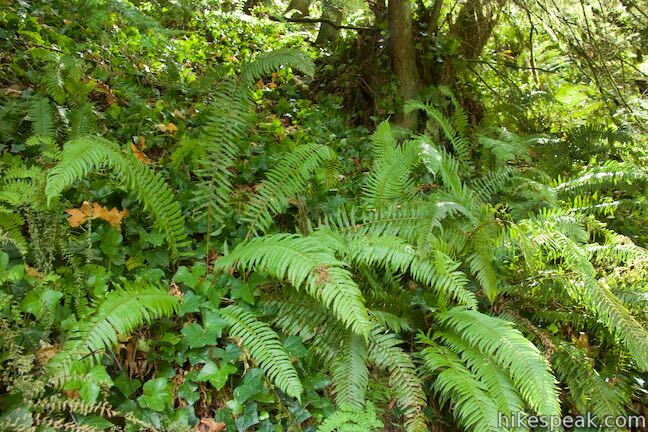 The vegetation remains lush and lovely with ferns typically lining both sides of the trail. 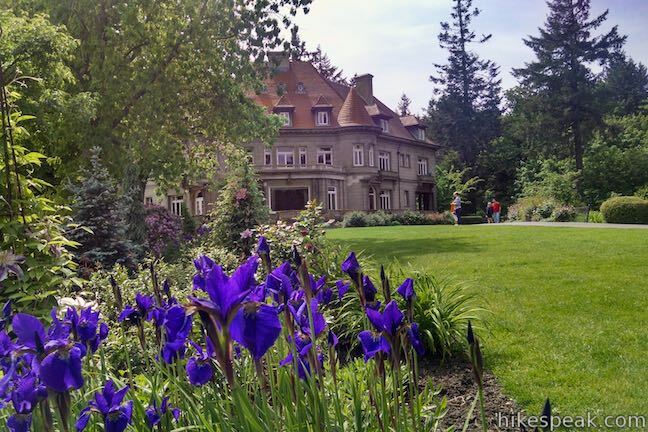 Around every turn, you’ll get closer to Pittock Mansion. Finally, you’ll hit the top of the trail at the back of the parking area for the mansion. 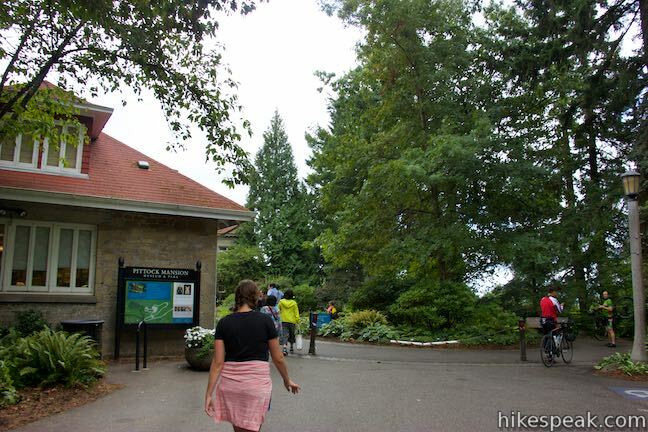 A large panel at the Pittock Trailhead offers information about the mansion and park. 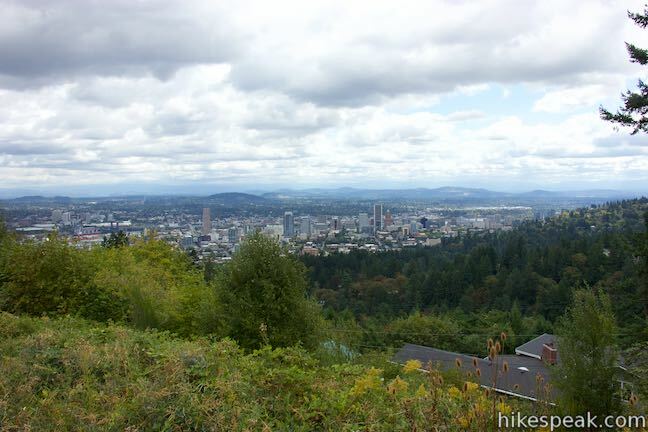 If you drove up to Pittock Mansion instead, you could definitely hike the Wildwood Trail – Upper Macleay Trail Loop as an upside down (starting at the top) lollipop loop. 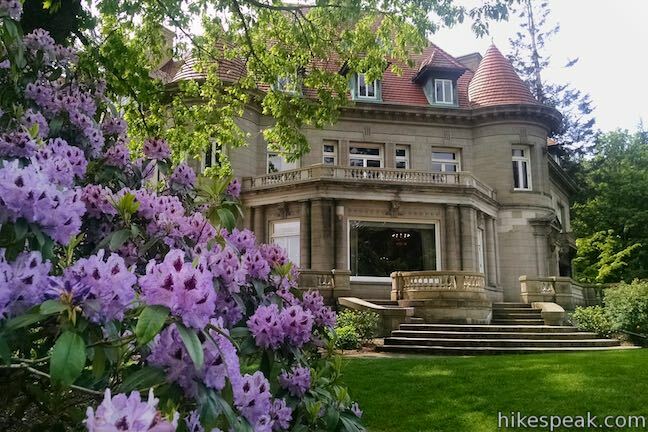 Walk east down the parking lot to Pittock Mansion, which was built in 1914 for Henry Pittock, a pioneer newspaper publisher and entrepreneur, as well as his family. The Pittocks were one of Portland’s first and most influential families. 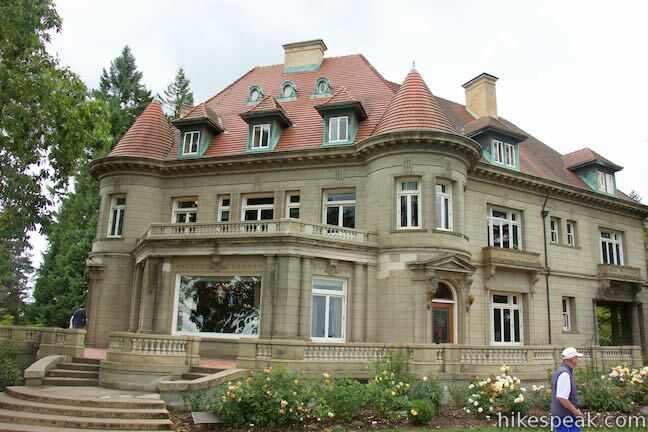 To see the inside of the mansion, you’ll need to take a tour. 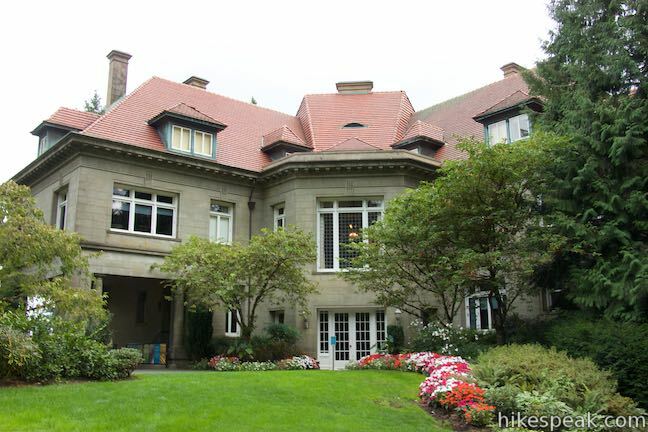 You don’t need to pay for a tour to walk around the outside of the mansion and discover views over Portland. Take the paved walkway around the house to a viewpoint on the east side. You can imagine how much this perspective has changed since the mansion was built over a century ago. 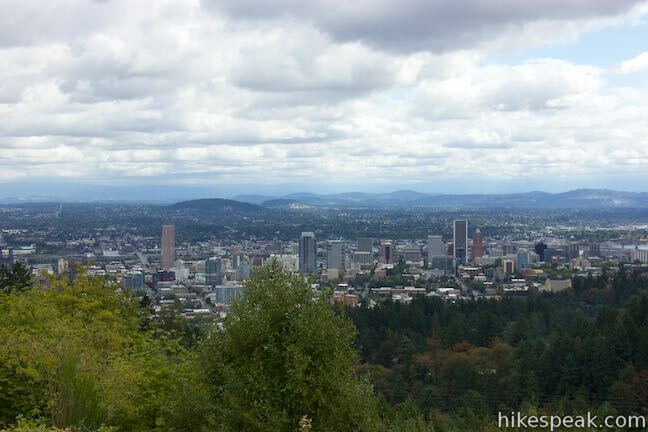 Below you is the city of Portland, dissected by the Willamette River. Look for landmarks like Broadway Bridge, Tilikum Crossing, the Moda Center, and U.S. Bancorp Tower. On clear days, you can spot the volcanic peak of Mount Hood rising above the mountains to the east. 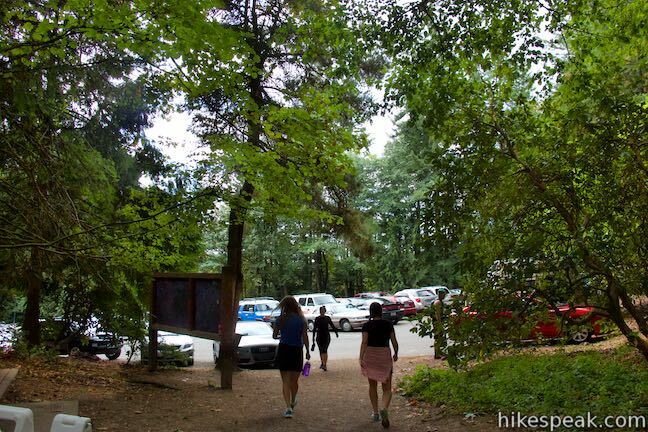 After exploring in the view, walk back to Wildwood Trail. 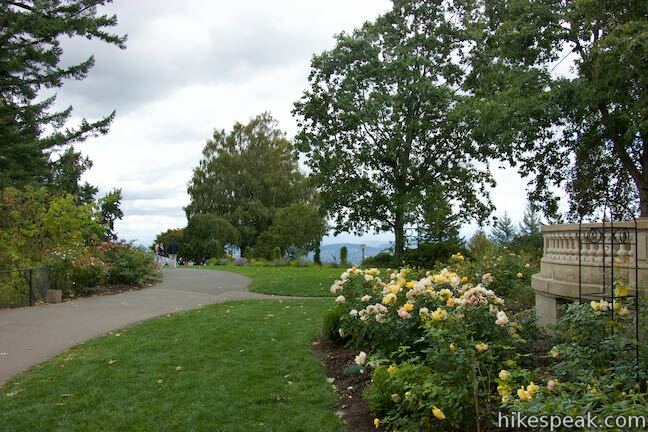 The walk between the trail and the overlook east of the mansion is about 0.4 miles round trip. 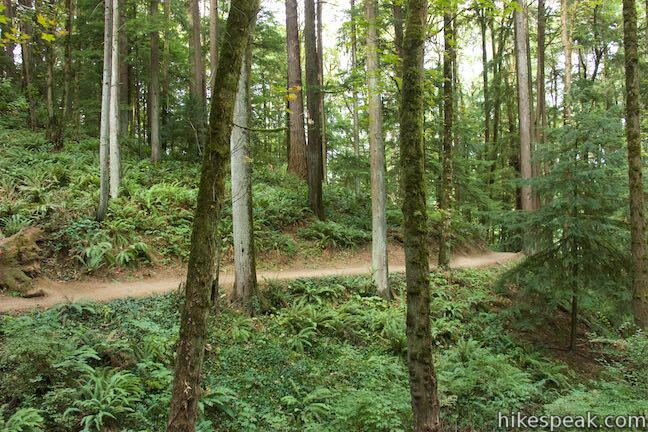 Head back down Wildwood Trail, tacking your way through all those long switchbacks. 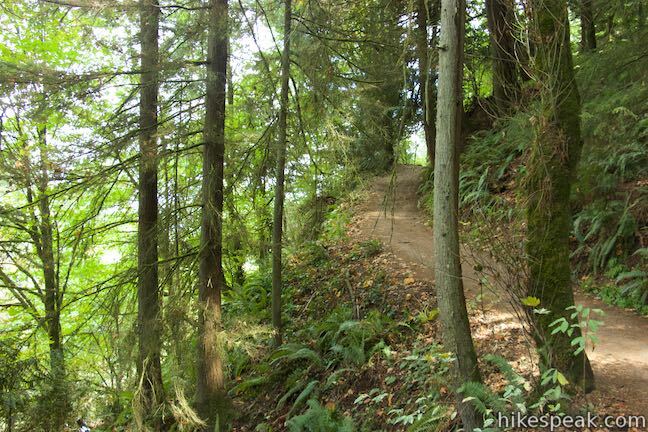 When you hit the junction with Upper Macleay Trail, turn left this time to take that trail down the rest of the hillside, adding a loop to the lower part of the hike. 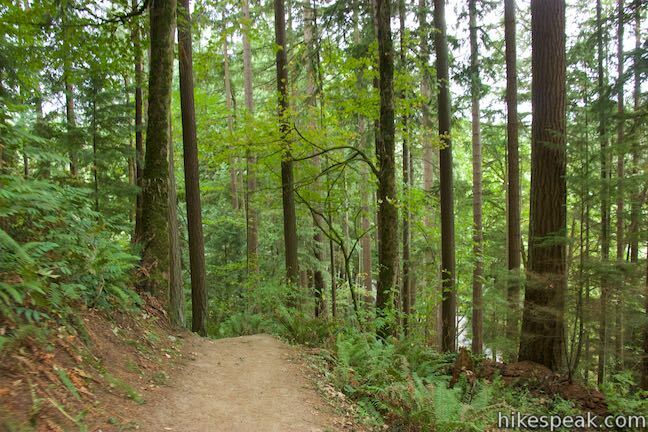 Upper Macleay Trail goes west, wrapping its way across ripples in the terrain. 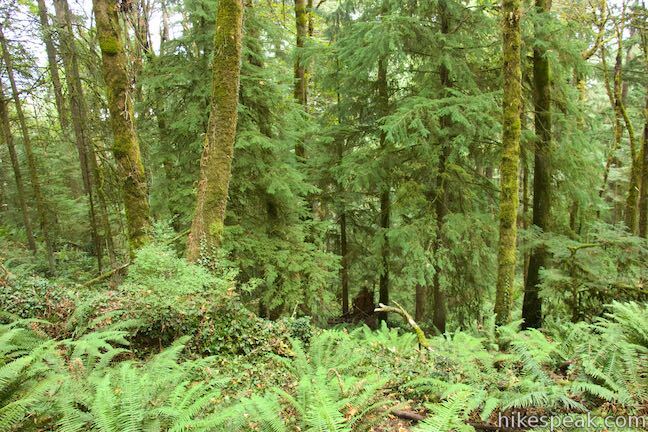 The mixed forest of deciduous and coniferous trees remains lush and dense. 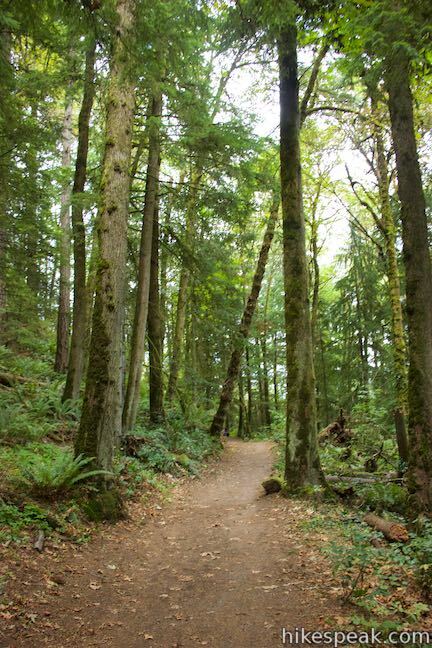 This trail seems to receive fewer hikers and trail runners than Wildwood Trail and offer a more tranquil woodland walk. 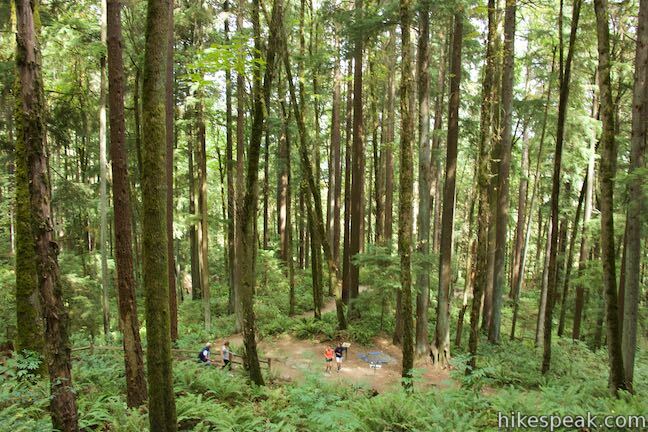 After 0.55 miles on Upper Macleay Trail, you will come to a T-junction with Wildwood Trail. 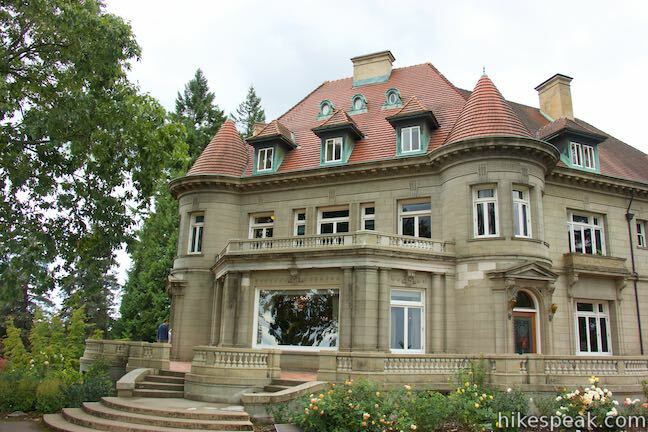 Unless you are heading back up to Pittock Mansion, turn left and drop down to Cornell Road to finish the hike. 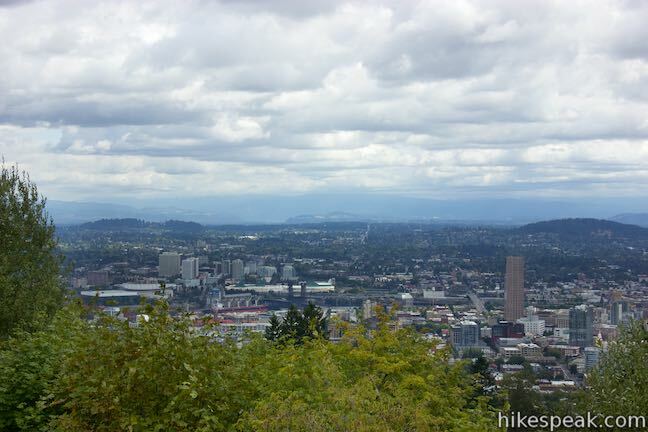 This hike to Pittock Mansion takes about an hour and there are options to hike farther in Forest Park. 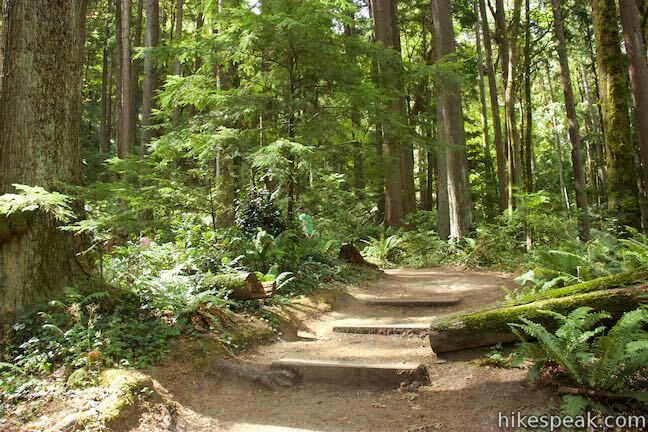 To see another Forest Park attraction, cross Cornell Road and take Wildwood Trail down to Balch Creek and the ruins of a Stone House. 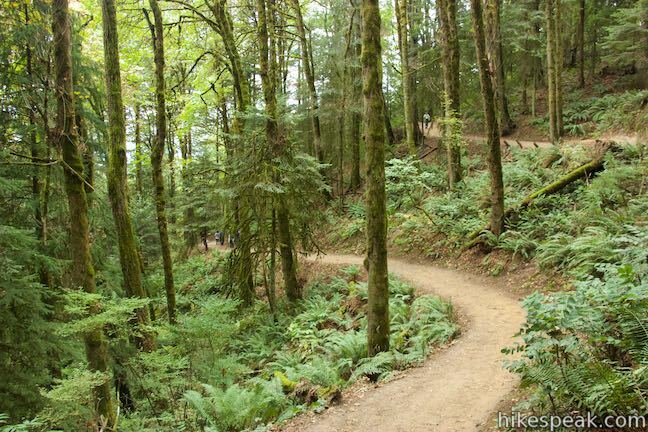 Dogs are welcome on these trails, but bikes are not. 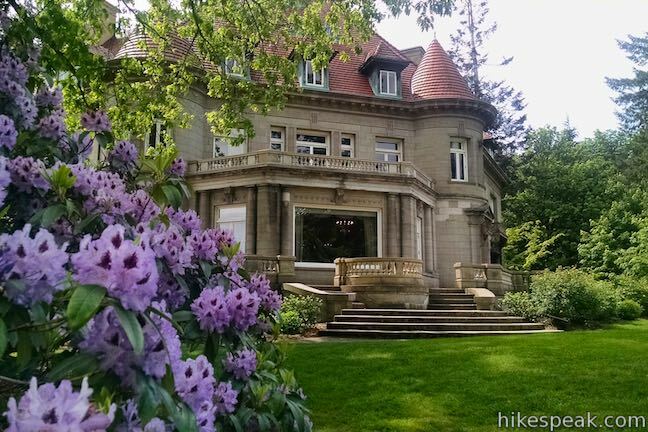 No fee or permit is required to hike in Forest Park to Pittock Mansion. 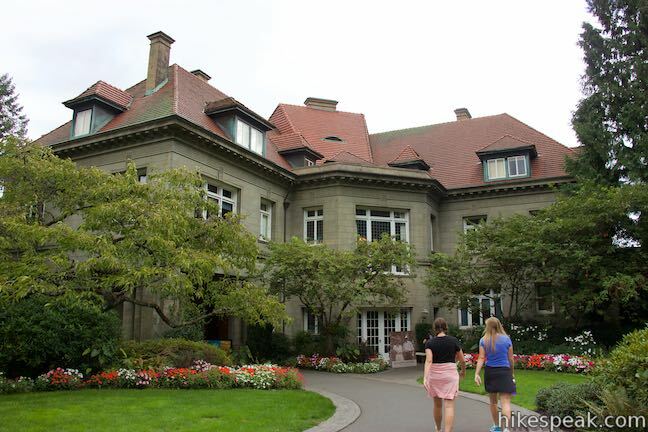 The mansion is open daily for tours (except holidays). Visit pittockmansion.org for current hours and pricing. 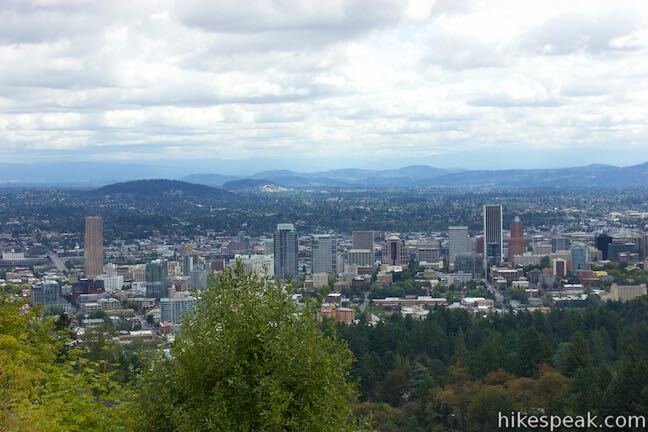 To get to the trailhead: From Interstate 405 in downtown Portland, take exit 3 to head west on Route 30. Drive about half a mile to the first exit for Vaughn Street. The offramp passes over the top of Route 30 and merges with Vaughn Street. Drive a couple blocks west and turn left onto NW 25th Avenue. Drive half a mile south and turn right onto NW Lovejoy Street. In 400 feet, bear right onto Cornell Road. 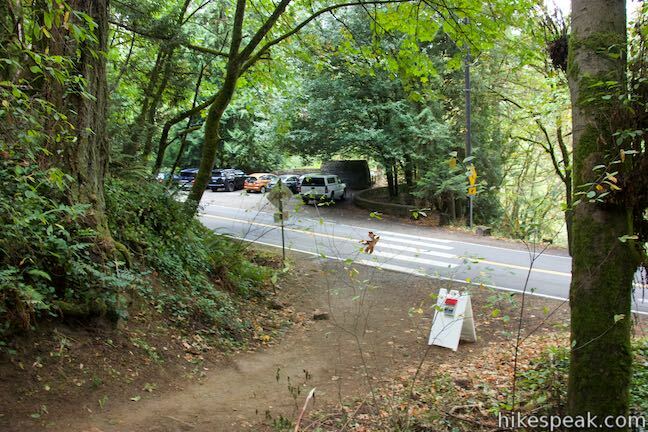 Drive 1.4 miles into Forest Park to the trailhead. Park in turnouts on the right side of Cornell Road. A crosswalk leads to Wildwood Trail on the opposite side of the road. 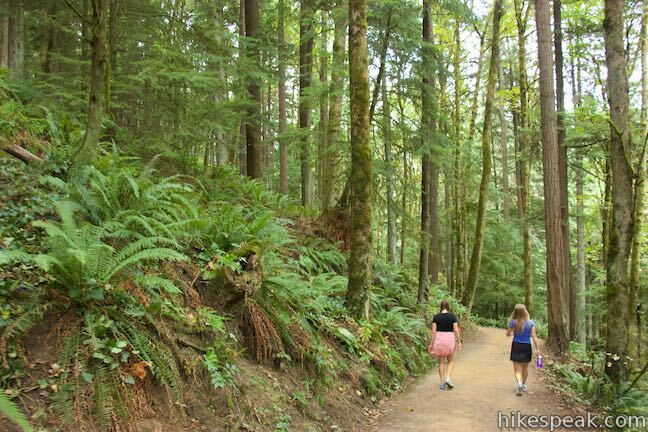 This 1.8 to 2-mile hike starts by following Balch Creek to fern-covered ruins and can finish with a loop that exits Forest Park and passes through the Willamette Heights Neighborhood in Northwest Portland. 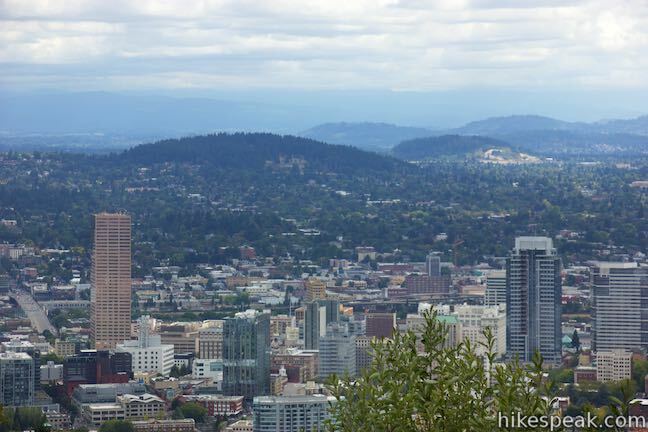 This 5.4-mile hike in Forest Park takes Lower Macleay Trail to the Stone House ruins and ascends Wildwood Trail to Pittock Mansion, bagging a big view over Portland. 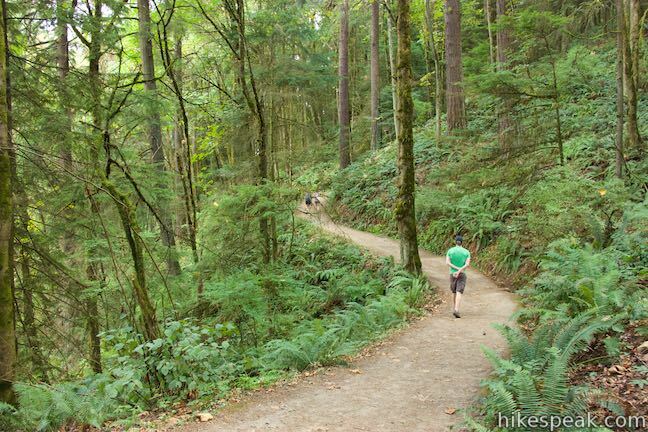 This 2.7-mile loop combines three trails in Forest Park for a refreshing woodland walk. 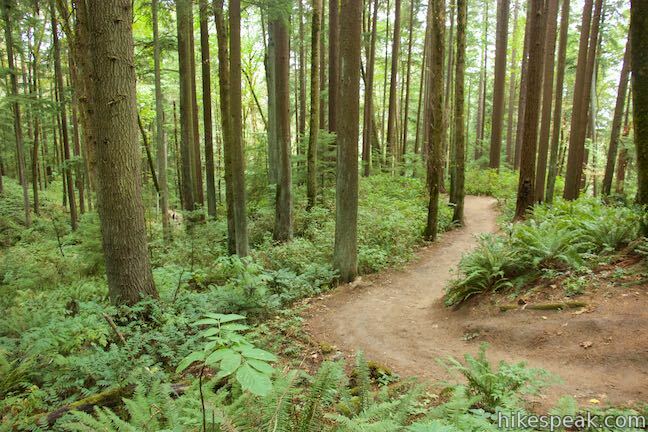 This 2.5-mile Forest Park hike plots a nice, short, woodland escape by easing down Wild Cherry Trail to Leif Erikson Drive and rising back up Dogwood Trail. 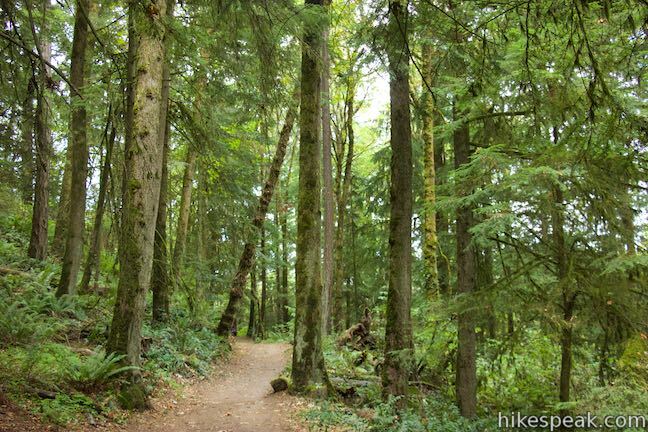 This 2.8-mile hike uses 5 trails (Keil Trail, Dogwood Trail, Leif Erikson Drive, Alder Trail, and Wildwood Trail) to form a lovely woodland loop in Forest Park. 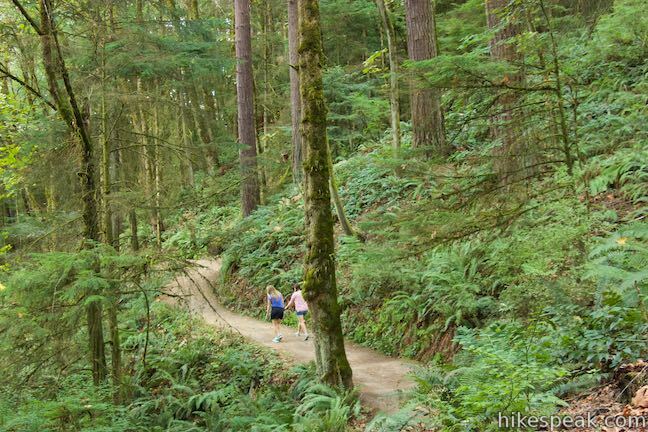 This 3.5-mile circuit explores more of woodland beauty in Forest Park. 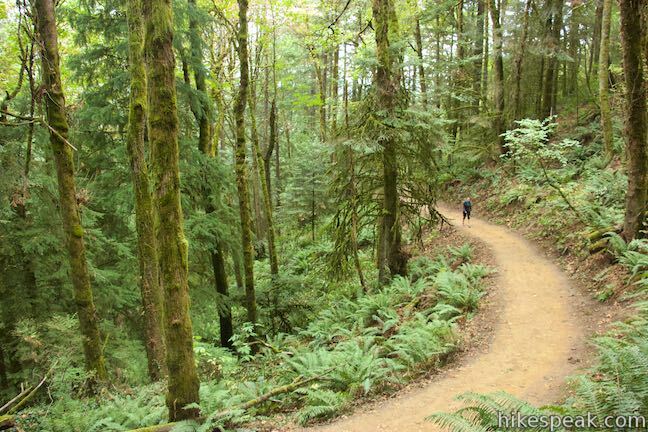 Explore more hikes in Oregon outside Greater Portland.